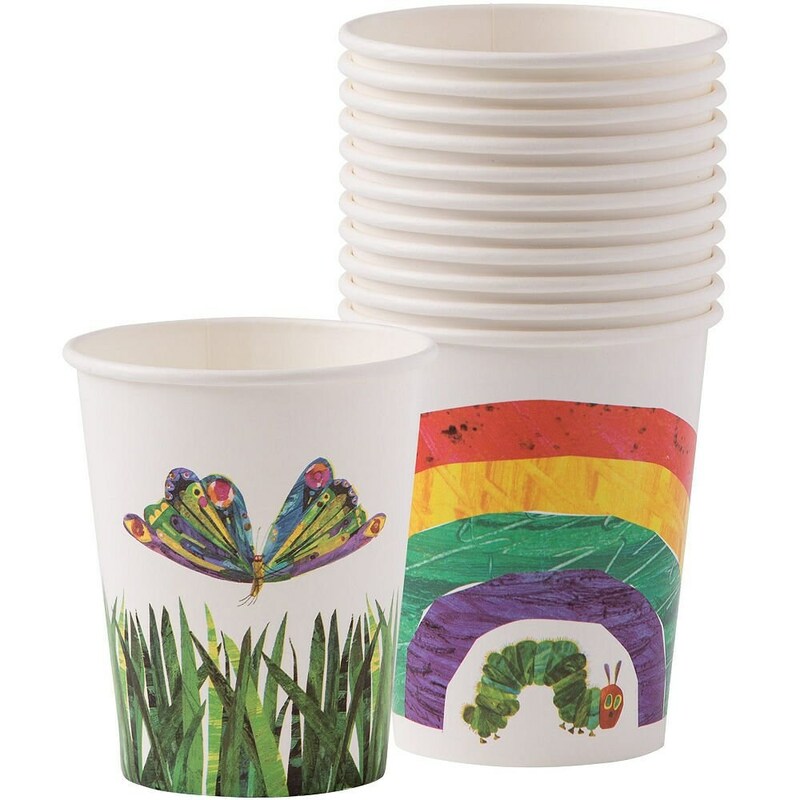 These adorable Hungry Caterpillar Themed Paper Cups are PERFECT to add to your upcoming Party! Durable and comes in the 2 designs showed. Set of 12 Cups, 6 of each designs. Holds 250ml. We have many other matching party items in the Hungry Caterpillar theme! Check them all out. Plates, Napkins with cutlery, Centerpieces and much more! Super cute and received quickly. Would highly recommend!